But it shouldn't. Let me explain. 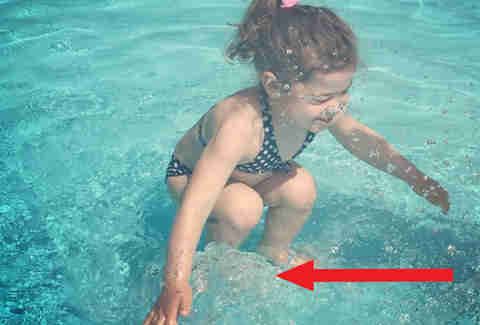 A few days ago, a Reddit post blew up of this image titled, "This girl looks like she's underwater and jumping into water at the same time," by user ma842. At the time this article was published, the image itself (hosted on imgur by user maskari) had garnered more than 3.5 million views in a matter of days. 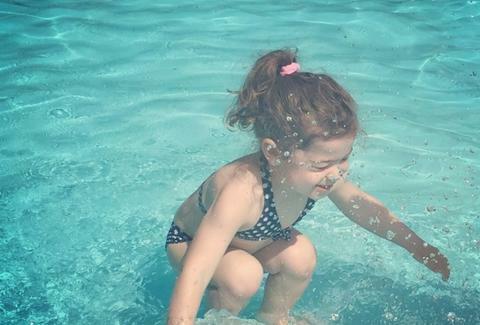 Why is this photo of a little girl in a pool so popular? It's nothing that would warrant a visit from Chris Hansen (we hope). The draw here is the conundrum posed in the title: is this little lady submerged at the bottom of a pool, or jumping into the shallow end? This is another blue/black or white/gold dress all over again... right?! Nope. The answer is painfully obvious. Don't be fooled by other publications misleading crop-jobs. Let's examine the evidence. Take a look at the splash zone at the young girl's feet. This clearly shows she is jumping into a few inches of water, and is not at the bottom of a pool. 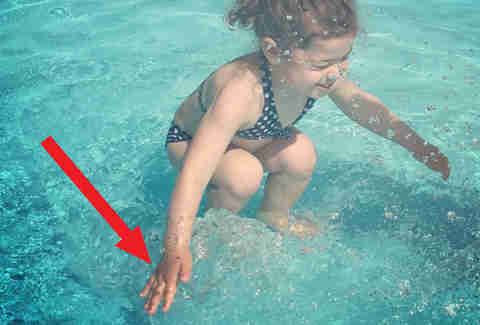 Have you ever seen water splash underneath the surface? Her right hand is clearly wet and shimmering. Again, a submerged body would inherently be totally wet, and there would be no clear lines of moisture distinction. 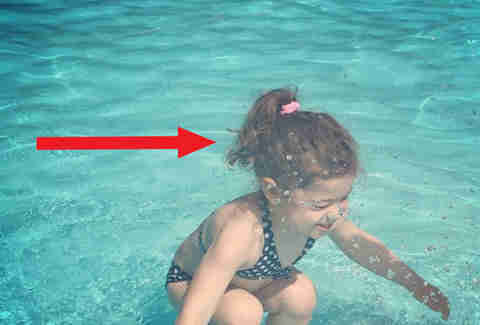 Possibly the most damning evidence: the girl's hair is clearly above water, dry, and definitely, definitely, definitely not wet. The "bubbles" around her head are simply splashes from her jump, caught in mid air by the camera. Sorry, there's no controversy here. If you need some more entertainment, check out this song. Very relevant.